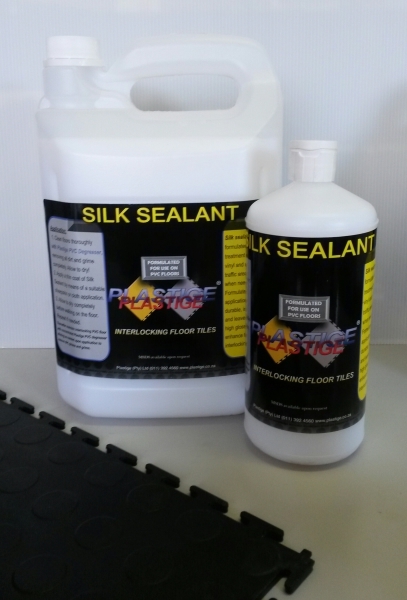 *Plastige SILK SEALANT is a specifically formulated resin based floor treatment for use on hard vinyl and rubber floors in high traffic areas, applied as and when needed. Formulated for easy application, is economically durable, intensifies anti-slip and leaves a long lasting high gloss, designed to enhance the longevity of our interlocking PVC floor tiles. 1. 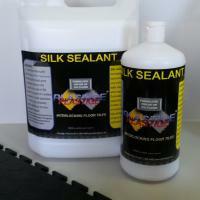 Ideal for use on vinyl, linoleum, plastic, rubber. 2. No buffing required on application of undiluted product. 4. Can be as spray buffing compound for maintenance. 1. Remove residue by squeegee. 3. Apply a thin coating by means of a brush or sponge. 4. Allow to dry for 30 minutes before re-coating. 5. Do not rub or buff. Eyes: Burning & irritation. Flush with water for 15 minutes. Skin: No risk. Slight irritation possible. Wash with soap and water. Ingestion: Do not induce vomiting. Give person milk to drink. Seek medical attention. Plastige Flooring Solutions is proud to announce a new division within the group of companies, specializing in floor prep, wood grinding & super polished floors. All dust free!